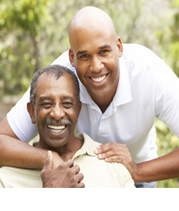 Compassionate In-Home Caregivers for A.L.S. Lou Gehrig’s Disease, also known as Amyotrophic Lateral Sclerosis (ALS) is the most common of five motor neuron diseases. It causes the muscles of the body to shrink and weaken because motor neurons of the brain and spinal cord degenerate, causing the brain to lose the ability to initiate and control muscle movement. Symptoms of ALS include muscle weakness, atrophy, and stiffness, slurred speech, difficulty swallowing, and in late stages can cause complete paralysis and uncontrollable emotional expression. Lou Gehrig’s Disease is an debilitating disease that causes the individual to become more and more dependent on living assistance with simple tasks such as getting out of bed, getting dressed, turning door knobs, and more. It’s understandable when you can’t be there for your Elderly or Senior loved one at all times, yet you want to help them retain their independence and dignity for as long as possible. 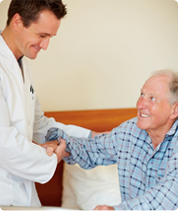 A-1 Home Care provides experienced and dedicated Lou Gehrig’s Disease/A.L.S. 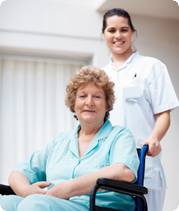 Care in Costa Mesa, CA on a 24 hour Live-In Care or Hourly Care basis. Our qualified caregivers can assist with all areas of daily living whether it’s getting dressed, preparing healthy meals, helping your loved one exercise their limbs and joints, or running daily errands. All of our compassionate Lou Gehrig’s Disease caregivers, nurse aides, companions, and home helpers must have prior at home caregiving experience, verifiable professional references, a National Background Check/DMV Check, Tuberculosis testing, Malpractice/Liability insurance, First Aid/CPR training, and a personal interview with our office staff. We provide in-home care in the OC communities of Costa Mesa, Irvine, Tustin, Laguna Beach, Corona Del Mar, Newport Beach, Fountain Valley, Westminster, Huntington Beach, Seal Beach, Los Alamitos, Garden Grove, Villa Park, Buena Park, La Mirada, Anaheim Hills, Yorba Linda, Fullerton, and others in Orange County. To interview and hire a compassionate caregiver in your area today, CALL us at 949-650-3800 for a FREE in-home assessment.